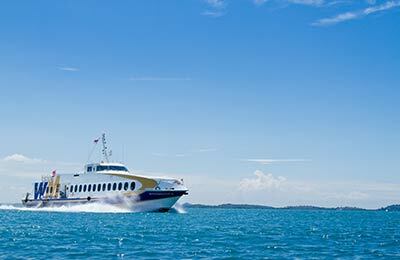 Book Ferries between Indonesia and Singapore with WaveMaster - Batam & Singapore Harbourfront. 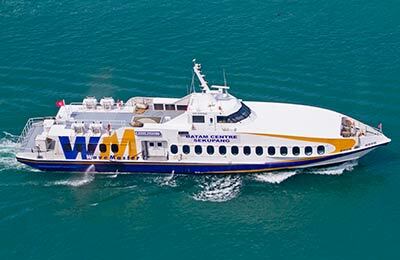 You can use AFerry to book a WaveMaster ferry to Batam in Indonesia and Singapore Harbourfront in Singapore. AFerry always has cheap prices for WaveMaster ferries and the latest special offers. WaveMaster offer modern ferries with seating inside and outside. So take a seat and enjoy the short sailing! How long before departure should I arrive for WaveMaster?